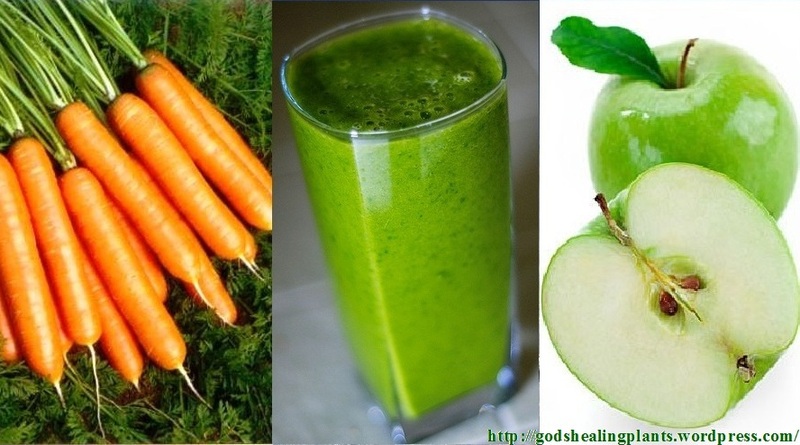 This is a spicy and delicious smoothie with powerful health benefits. Apples are full of fiber and will help you feel fuller longer. Carrots are famous for protecting vision, especially night vision. Spinach has lots of iron and ginger protects the digestive tract and liver against toxins and parasites. This smoothie contains 30% of your daily recommended value or fiber with only 157 calories and is loaded with vitamins and minerals. I use a similar recipe but with mint, and kale instead of spinach….must give this a try as it seems as though it’d be a tad milder…Looks delicious! Thanks for your comments Zen and Genki. I believe you will like this drink it is quite delicious. ENJOY! You’ve done a lovely job with your blog – and thank you also, for visiting mine 🙂 Have a wonderful week! Thank you for your kindness. Have a blessed day.